Nice back yard with Ocean to the front! 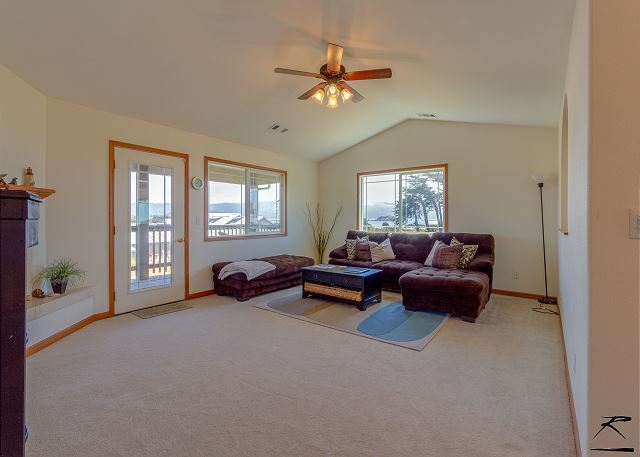 Beautiful & Spacious 4 Bedroom, 3 Bath Crescent City Beach House with Master Suite! Ocean & Beach Out Front Door! Great Views! Ocean Views from most of house and great house for two families two share. 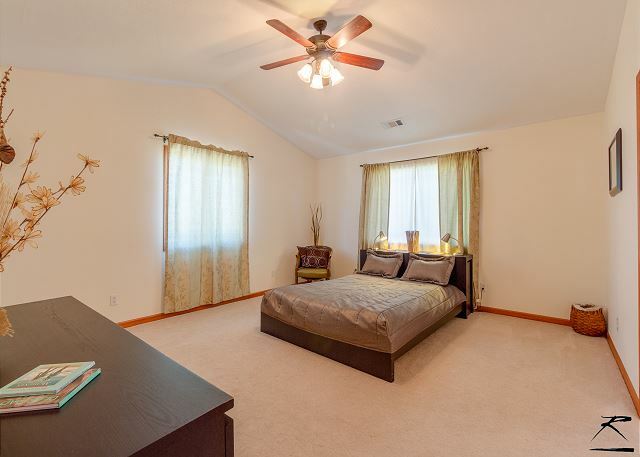 Very clean home and recently built. 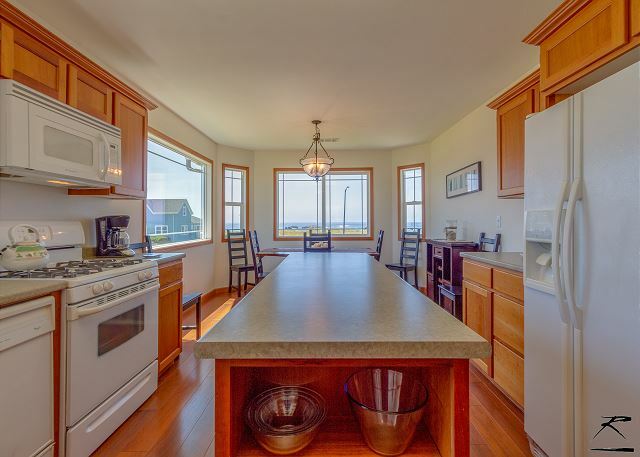 Upstairs includes Modern Open Kitchen and Dining Room, both with fantastic Ocean Views, Large Living Room with gas fireplace, Master Suite with Full Bath, one other Queen Bedroom and a Full Bedroom with ocean views, and a 2nd Full bath. 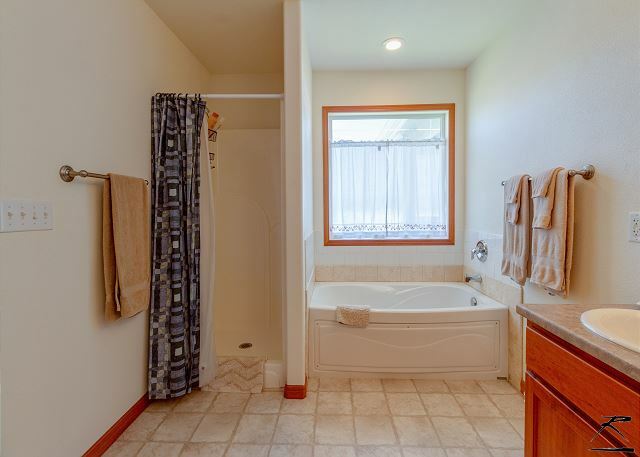 Downstairs you will find the third full bath, a bedroom with a queen bed, a den with sofa and a full futon, as well as the laundry room and a kitchenette. Enjoy the backyard, sitting out on the deck and BBQing up a nice dinner for the family too! Strict 8 person maximum please and 2 car maximum. A third car may be approved by management PRIOR to arrival date, and approval is subject to time of year and event restrictions. No school groups. 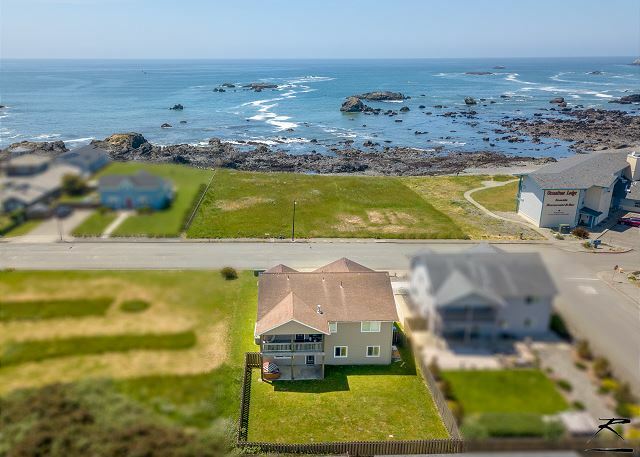 This Crescent City Beach House is in a perfect location in Crescent City and Crescent City is in a great location on the Real Northern California Coast. Right in front of the house is a big open field and then the beach and ocean with a 6 mile trail that goes north along the beach. You can walk all of the way to Point St. George Park while walking along Pebble Beach and then Garth's Beach. Great opportunities to watch whales as well, which you can see from your house as well. Directly to your south is a view of the Battery Point Lighthouse and Park - great spot to throw the Frisbee around. Walk over there and take a look out into the harbor where you can see the playful harbor seals, busy shore birds, and the fishing boats bringing in their catch of the day. And, if you need some things from the store you can actually walk 5 or 6 blocks to get what you need, ride your bicycle if you brought one, or jump in the car. There are also restaurants that you can walk to including a family pizza restaurant and a Thai Restaurant. Annual Crescent City events includeThe Del Norte County Spring Fair and the Sea Cruise Car Show which is held each October over Columbus Day weekend. Other fun events happening nearby include the Smith River Days festival, the Klamath Salmon Festival, and the Blackberry Festival & Harvest Celebration. The owner had a lot of rules and you have to pretty much clean the place yourself. Other then that great location and an overall great experience. This Beach house is fantastic, and you mentioned, and you had a nice time! Thank you for choosing Redwood Coast Vacation Rentals. About the rules. We have to have them. We are in a residential neighborhood and there are boundaries that we need to maintain to keep our home as a rental to make sure the neighbors are not bothered at all. We could lose our ability to offer the home as a rental without them. The clean up that we expect , washing of the dishes, taking out the trash, and general tidy up, helps housekeepers make sure the home is ready in time for the next vacationers arrival. We appreciate every guest that follows the rules. It's makes for a pleasant stay for all parties involved. Thank you! Thanks Greg! Hope we can host again at this great home in Crescent City with Redwood Coast Vacation Rentals! 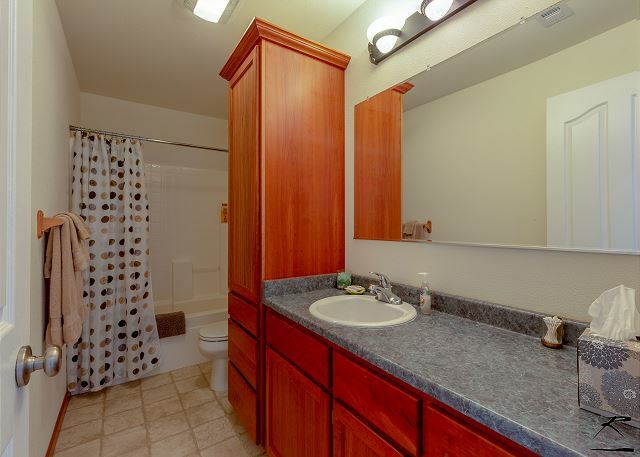 We have homes in the are and also souther in Humboldt. 100+ to choose from! We enjoyed our stay very much. There were a couple things to note. On one of the towels, there was a round wire mesh (about the size of a dime) stuck on it. The wire scratched my friends back and left some line marks on her back. We took the wire off and threw it away but it could have been dangerous if she used it on her face where it could have scratched her eyes. Also there were cat hair or some animal hair left in the master bedroom because she woke up with her face swollen and itched everywhere. Besides this, this place has everything you need to make your stay comfortable. They thought of all the essentials a person may need. The place was clean and comfortable. There was even laundry soap for us to do laundry. It's close to the pier and is within walking distance. We did wish the hot tub was available for use but it was closed. Overall, we loved this place and would come back again. Thank you also for allowing us to check out at noon instead of at 10am. The location is very good, 30 min drive to the heart of Redwood NP, and 5 min walk to battery point lighthouse. Plenty restaurants and stores in town. Furniture is not the most high quality stuff but good enough. A bit cold in the night. Thanks for the great review! We would love to have you again! Gate way to the Redwoods! We have over 100 vacation homes with Redwood Coast Vacation Rentals. Something for everyone! We were up for the weekend, everything was perfect, can't wait to go back. Thanks so much! We hope we can accommodate you again in the future! The Beach House is a great stay for a family or two of 8! Right by the beach and the lighthouse park! Thanks again for choosing Redwood Coast Vacation Rentals! 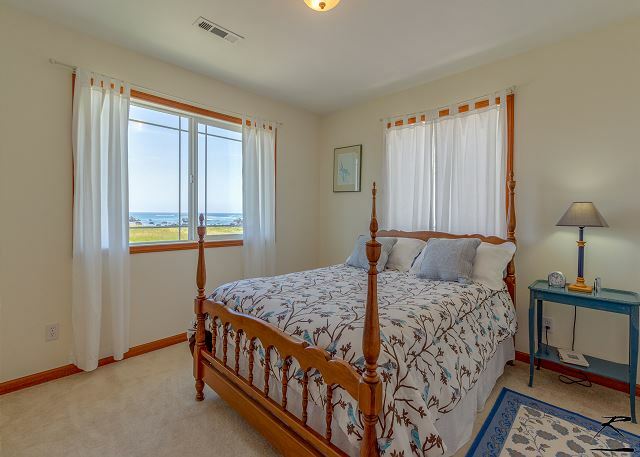 Wonderful locstion overlooking and walking distance from the ocean and pier! The house had everything we needed including a blender for smoothies! We were allowed a late check out from houskeeping. Thanks!! Thanks, Diane! I hope we can see you again next year at the Crescent City Beach House! 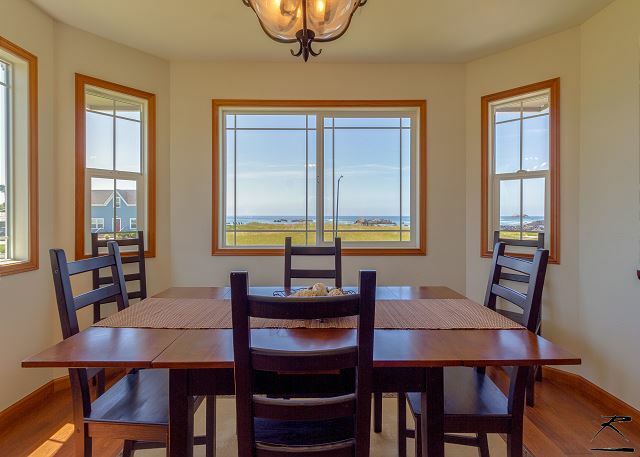 Loved the view of the beaches from the kitchen/ dining form of this house. Great . 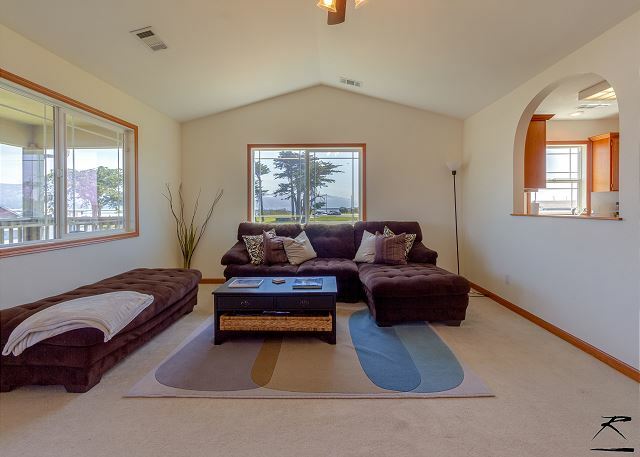 Crescent City Beach House is a great spot for the family to enjoy the coast and redwood. We hope you come again and thank you for choosing Redwood coast Vacation Rentals! 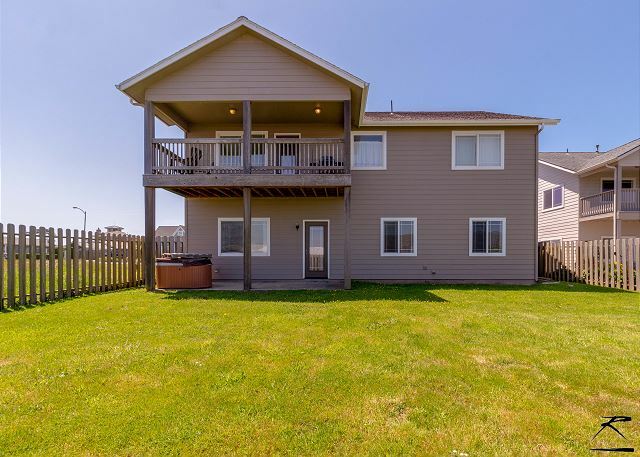 First time renting a vacation home in Crescent City and we had a great experience with the process of renting the vacation home and overall stay at Crescent City Beach House. 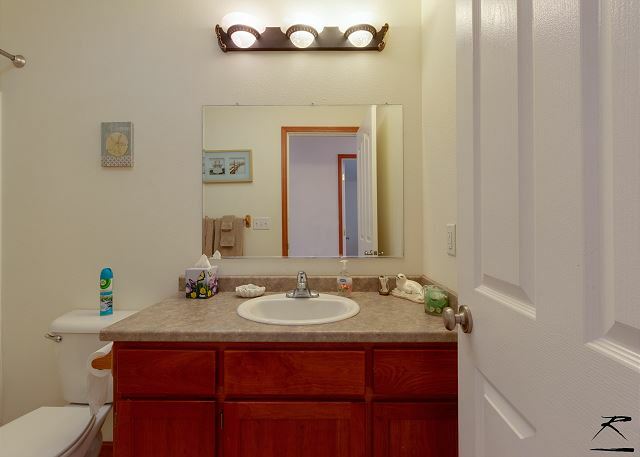 The staff at Redwoods Coast Vacation Rentals were professional and understanding. The house was clean and spacious. It had a good kitchen and working refrigerator. We cooked most of our meals during our stay due to the functionality of the kitchen. The view was great! But, I would like to see widow curtains added to the house for a little bit of privacy, but that's just a personal preference. Overall, a lovely home to rent. I Personally preferred a cabin/ home in the woods for more access to outdoor activities/experiences, but this house was great for a last minute booking. Many family and friends camped along the coast RV/tent, while he stayed in the vacation home. They were impressed with the house and the many homes Redwood Coast Vacation Rentals manages. Most likely, everyone would be renting a vacation home instead of outdoor camping next year. We camped for many years and sometimes the weather is not in our favor due to the days that are set for the trip where everyone has their vacation days off. It was really nice to not have to pack all the camping gear and worry about the weather for this trip. Thanks for the great review! We hope to see you again next year for your vacation. Please don't hesitate to call! This house was great. Looks newly built. Was in a beautiful location. Had easy access to the beach, the light house and the pier (all in walking distance). As well as a short drive to the museum and all of the food in town. Great!!! So glad you had a nice time with smoothies and margaritas! 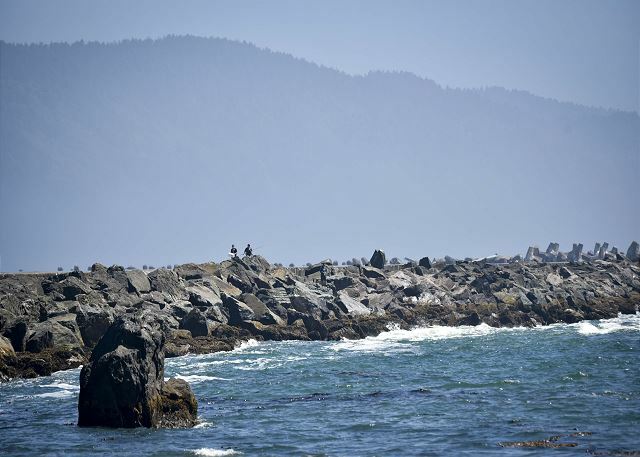 Crescent City as a great little beach town for some fun on the ocean and in the redwoods. Thank you for choosing Redwood Coast Vacation Rentals! We have some great beaches and Redwood national/state parks in the Crescent City for families to enjoy. Please come visit again! Thank you! Great location and view of ocean. Right near ocean and park for kids. Central to downtown. Clean and simple house. Could use more stuff for kids like portocrib, stroller, high chair. The baby gates were broken as well. Property Managers were disorganized and horrible with communications. That was my major complaint. Otherwise, we had a great stay! Thanks sia, for the great feedback. I will look into why the communication breakdown happened. I will mention your advice about baby items in the home to the owners, but we did bring you a porta crib! Hope that worked well! We could have bought a crib, also, if we had know you wanted one. Thanks for enjoying your stay, though, ad this home is a great place to start out on an adventure! We had a great time! Being right across the street from the beach and just down the street from a park, a pier, a lighthouse & a jetty ensured we had plenty to do if we got bored sitting around enjoying the spectacular ocean views. We're already talking about booking our next trip. Great! We hope to see you soon and glad you had a fabulous weekend! Crescent City is a great beach town and the Beach House has great views! Thank you! Thanks for having a great time with the two families! 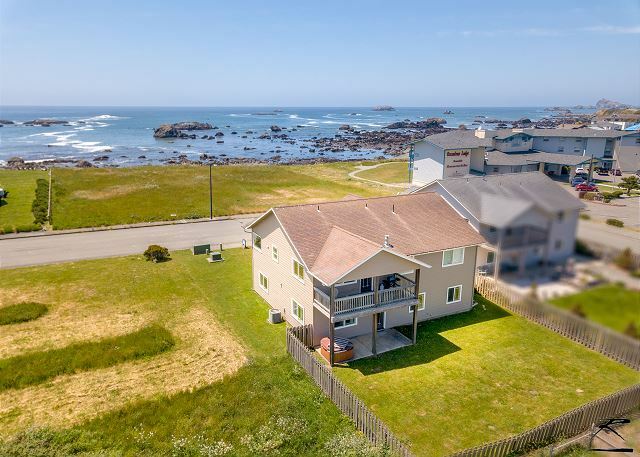 Crescent City Beach House is a great location for a lot of fun for everyone! I will catch up with the cleaners on your comments and will guarantee never again. thanks and hope so see you soon! The views of the ocean and lighthouse are excellent, and the location is central to both the Giant Redwoods and the coastal lighthouses. You are correct in that this home is very Central to everything the North Coast has to offer. Beaches and Redwoods are fantastic sights with many hiking and biking trails. Please definitely come again to the Crescent City Beach House with Redwood Coast Vacation Rentals. Wonderful. Only one complaint... could not hook up to wifi. Ellen! Please call so we can zap the wifi and get it going! No one needs to be without internet! Usually things like this area a quick push of the router reset button. And we are pleased you loved it and hope you can come again, and have WIFI!!! We rented this residence for a boys basketball tournament. The location was perfect. The beach is located right across the street where the kids could check out tidepools! The house was plenty big enough for all the kids. We will definitely be back! Thanks! Hope your boys did well in the tournament! Wonderful view! Perfect for a big family! We had a wonderful time at this vacation home. It was so convenient being just across from the beach. We took many beautiful pictures just from the kitchen and bedroom windows if rainbows and sunsets. 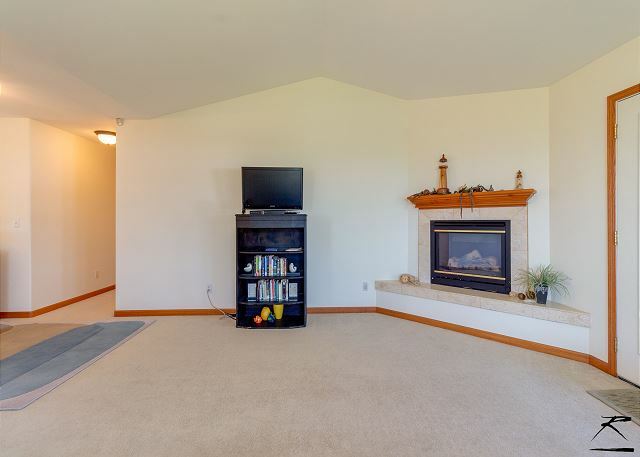 We have a large family and the living space downstairs made it nice for the kids to have their own area to play. It was very well stocked with the necessary supplies we needed and I thought the bathroom towels were very soft! We enjoyed ourselves and it was super easy to book and pay! I would highly recommend this vacation rental. Right on the beach is a great place for a family get together! We are pleased you had a great time and hope to see you again at the Crescent City Beach House with Redwood Coast Vacation Rentals. We stayed at this incredible house when we were at an 8th grade girls basketball tournament mid December with a party of 10. Everyone (Parents and kids)loved this house! Being able to see the ocean from so many rooms was priceless. We made all of our meals here and the house had everything we needed to pull it off. Everyone was very comfortable and happy. Heather, the booking manager, was very easy to work with. She was prompt in replying to my questions and she made every effort to be accommodating. Mission accomplished! We'd love to come back someday. Thanks for choosing Crescent City Beach House! 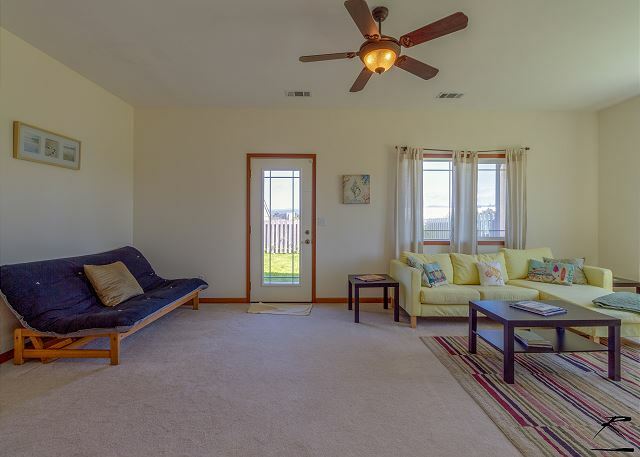 It is a great house with great views that can accommodate! Please visit us again when in Crescent City or at of one of our 50 other vacation homes with Redwood Coast Vacation Rentals! This house is amazing. The views of the water are beautiful and then afternoon sunsets was a treat. Great house to relax in after long hike in state park. Cooked Thanksgiving dinner and had everything we needed. Even a hand mixer to mash potatoes and make whip cream. Perfect place for family vacation. Thanks Kathy! We are very glad you had an amazing Thanksgiving with us at the Crescent City Beach House with Redwood Coast Vacation Rentals! We hope to see you again! Great place to stay. This house has NO non perishable food items provided. All previous homes we have stayed in have come with great nonperisables. No big deal since grocery store is close by. 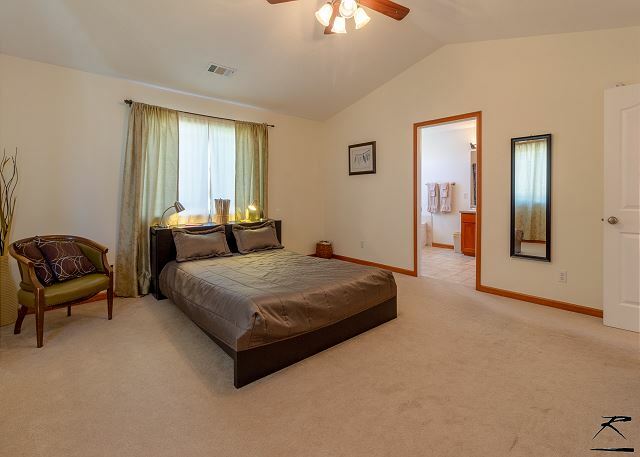 Didn't care for the platform beds but house otherwise very nice. 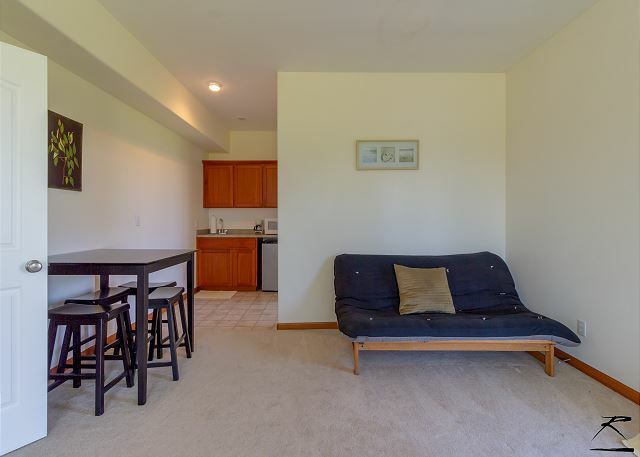 Could use more seating in living room. Sorry you were disappointed in the non perishables. We don't supply those items. I know you were worried about the beds and when we spoke on the phone you said they were comfortable. So glad you had a nice stay, though, and hope you come visit us again at the Crescent city Beach House with Redwood Coast Vacation Rentals or one of our other 50 other properties! The house was great and so was the location. 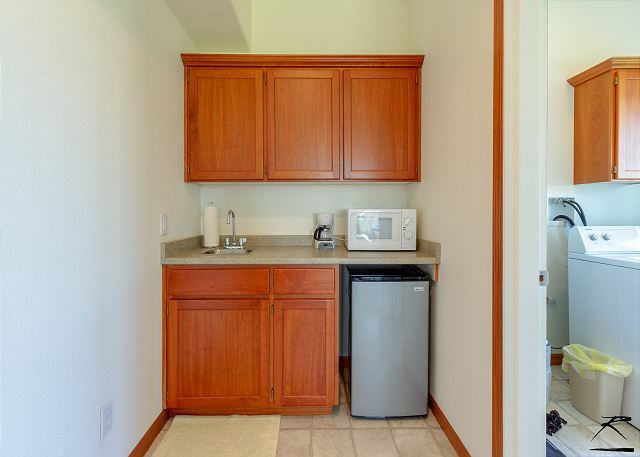 The property was clean and the kitchen well stocked for cooking. And the price was reasonable for 6 people. Yes I would recommend it to friends. Thanks for the great review! Crescent City Beach House is our new vacation rental this year and we have been quite pleased with the response from our guests. 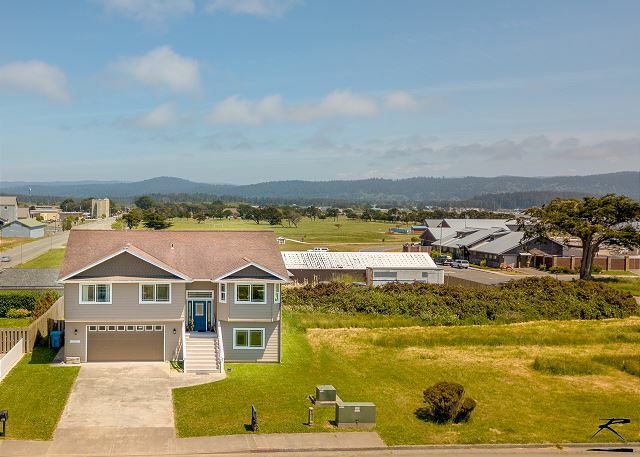 Please come see us again at Crescent City Beach House with Redwood Coast Vacation Rentals or any of our 50 other properties! We arrived with the key ready for us and the house very clean. We all were comfortable with the amount of room and the view was beautiful of the ocean and Light House. Really glad to hear you enjoyed your stay at the Crescent City Beach House managed by Redwood Coast Vacation Rentals & hope to have you back here or to one of our other 50 homes from Crescent City south to Orick, Trinidad, Arcata, Eureka & even Willow Creek on the Trinity River. The property over all was nice. Large home made it easy to spread out. Ocean just across the street. 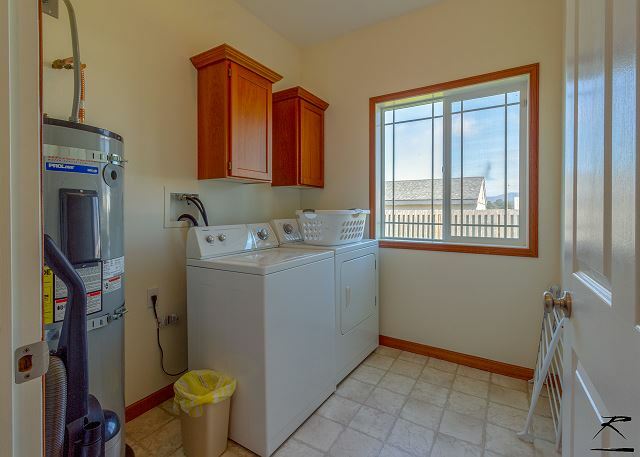 For the most part we found the property to be neat and clean. There is a few complaints. We could not use the BQ because it was very dirty, it appears that the cleaning staff does not clean the grill. There were no additional trash bags for any overflow trash. The trash barrels outside were completely full from the previous renter. These barrels need to be emptied after each rental. Glad you had a nice time! Our trash pick up days are Sunday and Thursday, and it seems you were stuck in the middle of those dates. We will make sure extra liners are provided in the future. Hope to have you back to the Crescent City Beach House by Redwood Coast Vacation Rentals or any of our other 50 vacation rentals on the Redwood Coast and Rivers. The house was perfect! 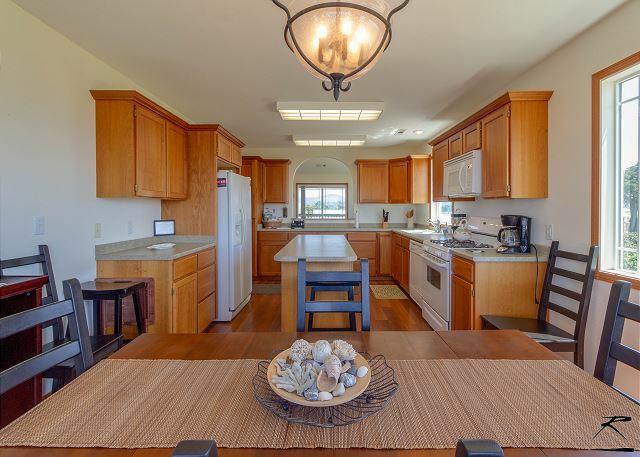 Located only steps from the beach and so much more! We look forward to staying there the next time we are in Crescent City! That's what we love to hear! Hope to have you back at the Crescent City Beach House by Redwood Coast Vacation Rentals real soon, or one of our other 50 homes on the Redwood Coast from Crescent city to Eureka & the rivers. Was very pleased to find this place last minute, nice views of ocean, park. Very clean inside, when we arrived it looked liked the property has not been mowed for weeks, but someone came and mowed while we left the second day.Warning the bed in master bedroom has planks and I slept in hole first night!!!! But second night slept like a baby. lots to do with grandchildren, went to trees of mystery, kite festival, couldn't get to light house due to tide, but lots of games to play provided by home owners. we will be back!!!! 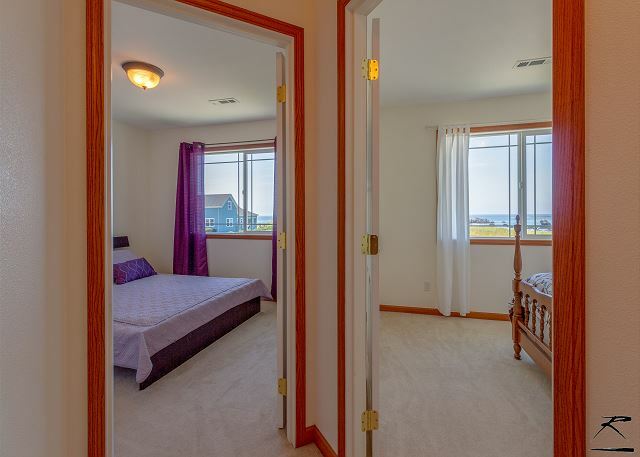 Great to hear that you enjoyed the Crescent City Beach House with the whole family and sounds like we'll see you again when you stay with Redwood Coast Vacation Rentals! Trees of Mystery is a must if you have kids, as well as the Aquarium and if you can do the Jet Boat Tours on the Klamath River they are super fun too! This home/property was perfect for our family vacation. Our daughter & grandsons, age 11 & 7, had their own bedrooms & bathroom. Lots of fenced, safe grass backyard for the boys to play in. Our son & daughter-in-law also had their own private apartment on the first floor. All we needed to bring was food! 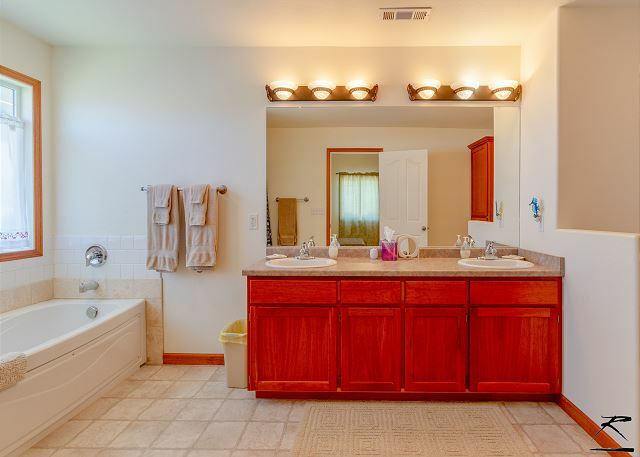 This property had everything a family could want! The location was great too. Our family couldn't have asked for more. It's unanimous, we love our home away from home! 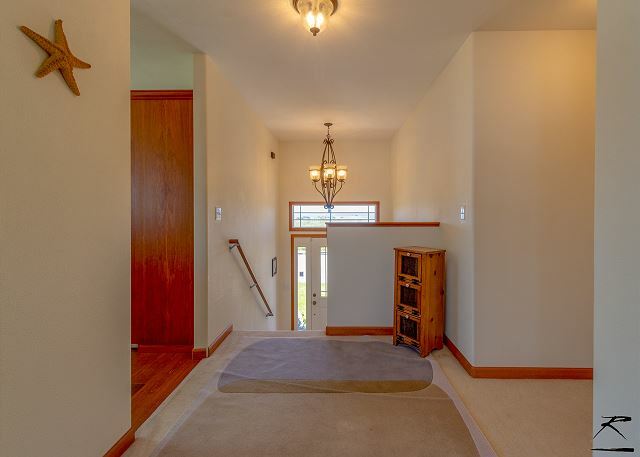 Note: if stairs are an issue for seniors or handicapped, this home may not work for you. Wow! Really nice to hear that we delivered on what we promised! 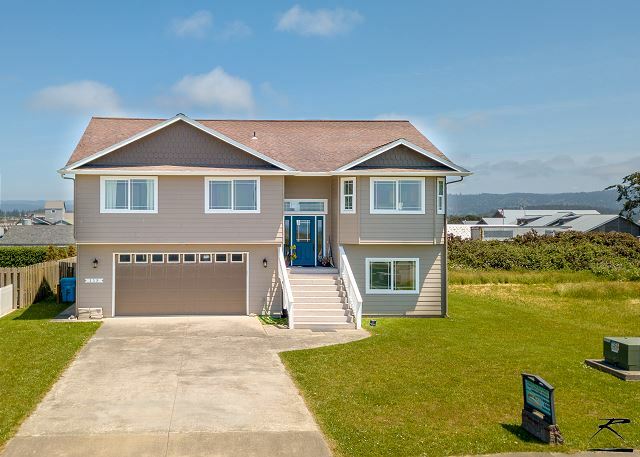 Hope to have you back to your new home away from home, the Crescent City Beach House managed by Redwood Coast Vacation Rentals - this is one of over 50 homes that we manage from Crescent City to Eureka and out to Willow Creek. Really nice house. Near jetty, lighthouse, rocky beach with tide pools, sandy beach with surf, great park and community pool for the kids, and about 20 minutes from cool redwoods stuff. Only problem was the hot tub was out of service. Would definitely come back. Sounds like you do it all at the Crescent City Beach House managed by Redwood Coast Vacation Rentals! Yes, we say on our site no hot tub because the one is there we took out of service because it is too small and the water goes low very quickly from usage and then it burns out the heater. We may put in one that is appropriate for a vacation rental next season. I do love that community pool there besides all of the outdoor stuff to do.